At the beginning of August the Association held its’ Annual meeting and Dinner. Then hosted a Clan Tent at the Moy Field Sports. 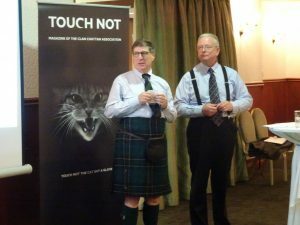 At the Gathering at the Lochardil House Hotel the after Dinner speaker was Dr Joe Morrow, Lord Lyon King of Arms. He talked about the creation of Coats of Arms and the Heraldry that is involved. 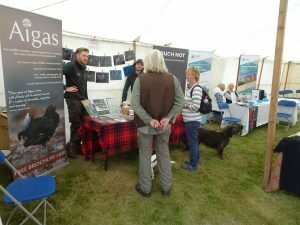 In the Clan Tent we had the Highland Archives and the Aigas Field Centre whose Scottish Wild Cat display encouraged a lot of visitors. In all it was a splendid few days.